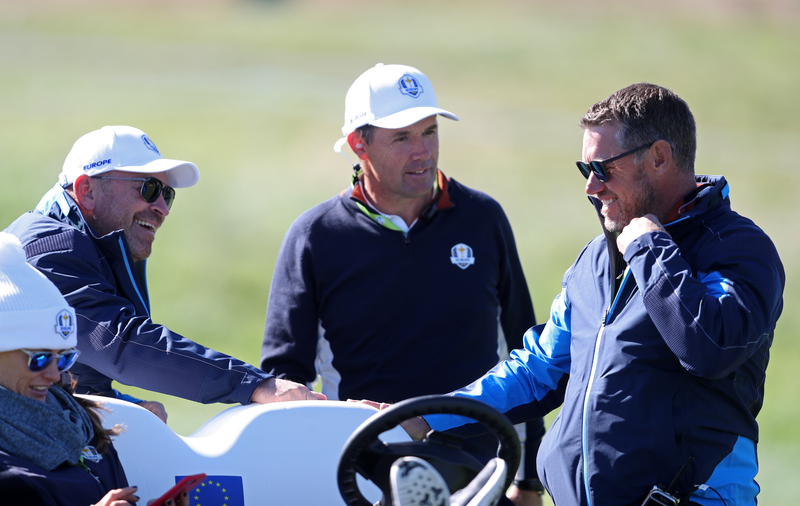 Lee Westwood had previously expressed a desire to captain Europe in 2020, but said on Wednesday that he would prefer to do the job in Rome in 2022 and described Harrington as the “better candidate” to lead the team at Whistling Straits. The panel is due to meet in December, but Bjorn does not feel it is necessary to make the decision so far in advance. “As much as when we lose, we try and just calm ourselves down, I think we also need to calm ourselves down when we win,” Bjorn said. “We’ve got to let these 12 players enjoy this Ryder Cup and what was 2018 in Paris before we start looking forward to Whistling Straits. As for Harrington’s captaincy credentials, Bjorn added: “I’ve always said when you’ve got somebody that’s a three-time major champion and has the pedigree that Padraig has and holds the respect of the players that he does, it would be difficult to see him not doing it at some stage. “And if he wants it this time around, it’s difficult to get around that he is very much the favourite to get the job. “He has a great relationship with the players on the PGA Tour for all the years he’s played there. He’s a past US PGA champion, which helps in the relationship with the PGA of America, and Ireland does have a special relationship with the Americans. “So there’s a lot of things that plays into his hands to being a captain in America." Westwood will be 47 by the time of the 2020 Ryder Cup but has not given up hope of equalling Nick Faldo’s record of 11 appearances in the event as a player. “I won’t be putting my name forward for this one, I’d prefer do it in Rome if possible,” the former world number one told Sky Sports News. “That would be great, I’d very keen on doing it there. I’d like to be playing in two years’ time. I think Padraig Harrington is the ideal candidate for the captaincy. “He is the right age (47) and he’s still in touch with the players because he’s still playing out here. He’s also very high-profile in the States, where he has won a major championship.